The family of a man shot by police Saturday is upset that some media are referring to him as a suspected suicide bomber. Peel Police say the incident unfolded after they responded to call about a suicidal man in the Grand Forks Road and Golden Orchard Drive in Mississauga early Saturday morning. They say "there was an interaction with a male, he was shot by police," and then taken to a trauma centre. 2/2 There was an interaction with a male. He was shot by police. The male was taken to a trauma centre a time later. According to the Toronto Sun, the bomb squad also responded to the call "because the man in question was wearing what appeared to be a suicide vest and holding what looked like a triggering device." Police are not confirming that, but one neighbour told CBC News police called her and directed her to move her family to a safe place in the house. The family of Hamza Abdi is upset about how police handled the situation. They believe the 26-year-old, who suffers from bipolar disorder, schizophrenia and anxiety, left the house because he was anxiously looking for cigarettes. Abdi's family said he was wearing a winter jacket when he left the house and the only thing they know he had with him was an electric shaver. 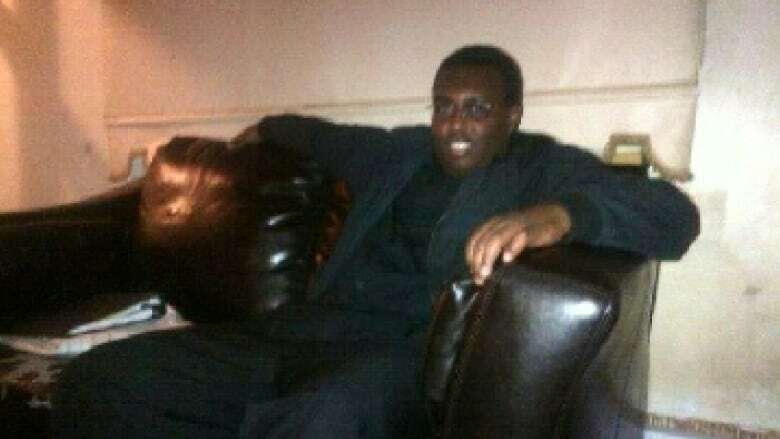 They claim Peel police knew about Abdi's mental health issues because of previous calls. And they believe tensions following the Paris attacks may have played a role in how police responded. Hamzi's older brother, Mohamoud Abdi, told CBC News he was "puzzled and shocked and couldn't believe" media reports calling his brother a suspected suicide bomber. "My brother is Canadian as you can get, he came here at a young age," Mohamoud said, adding that Hamzi was never violent toward anyone. Hamzi has since been released from hospital. He faces several charges, including uttering threats, failing to comply and a charge of possessing an imitation weapon.